THE “SINS” OF JOHN DRAMANI MAHAMA. Infrastructure is basically the base in which economic growth is built upon. Roads, water systems, mass transportation, footbridges and interchange are all examples of infrastructure. It covers supporting services that help the growth of directly productive activities like agriculture and industry. Provision of health services including construction of hospitals, chp compounds, mobile healthcare are part of these services. Infrastructure is important for faster economic growth and long-term alleviation of poverty. The World Bank, IMF and other agencies constantly remind our governments that adequate infrastructure in the form of roads and railway transport system, ports, power, airport and their efficient working is needed for integration of the Ghanaian economy with other economies of the world. The distinguishing feature of infrastructure is that while the demand and supply gap in case of other factors can be met by importing some of them, the deficiency of infrastructure cannot be made up through import. The building of infrastructure requires large and lumpy investment and they contribute to output, after a long time that is their gestation period. Building of rural roads, cocoa roads will benefit agriculture as the farmers are able to sell their products in towns where they can get remunerative prices. It needs to be emphasised that good quality infrastructure is important not only for faster economic growth but also to ensure inclusive growth. By inclusive growth I mean the that benefits of growth are shared by the majority of Ghanaians across the country. I have no quarrel with the other aspirants wishful thinking. But I would also like to say that, consistency in leadership is very important. Let me make a political observation here. It is about the vision in the jaundiced eye of former President Mahama’s opponents. Just as the primary reason for a business is to add value, serve the customers and make profits for the shareholders, the primary reason for politics is to serve the masses of the country. John Mahama has a vision for Ghana and the courage to take risk for future gains. Events of today, comments by people and organizations who vehemently criticised his policies and spearheaded the campaign to remove him from office, the huge respect being accorded him at the global level and the heroic reception he receives wherever he went after leaving office, are as result of the gains Ghanaians are enjoying from the many projects he implemented. Even critics cannot deny his intentions for Ghana’s development, and he proved his mettle in a number of tough conditions. His undeterred resolve to turn Ghana Ghana into a no corruption country along with his commitment to development helped him win huge respect and admiration across the globe. Some of his contestants have started eating their own words. Aspirants of a social democratic party (NDC) suddenly,do not see the relevance of infrastructure to economic growth and poverty alleviation because of cheap politicking. Almost all the aspirants, in 2016, campaigned for Mahama’s reelection because of the massive infrastructure and his strategic policies. Spio, said if John Mahama decides to contest he will suspend his ambition. He attributed the party’s 2016defeat to Npp’s lies and fake promises. Prof Alabi in 2016, campaigned for Mahama. He appealed to Ghanaians to retain Mahama because of his massive infrastructure drive. Alban Bagbin rained praises on the man he is challenging today for taking Ghana to an enviable level in terms of infrastructure and governance, Sylvester Mensah proudly defended the policies and projects of Mahama and appealed to Ghanaians to retain the man who appointed him CEO of NHIA. -distributing over 15 million exercise books and 10,000 made in Ghana sandals to pupils in selected deprived districts. -Completing the new and permanent campus for the University of Health and Allied Sciences at Sakode Lokoe near Ho. -Constructing a modern library, ICT complex, laboratory complex and New classrooms with offices at the University of Energy and Natural Resources in the Brong Ahafo region. -Expanding and renovating Tamale and Kumasi airports. 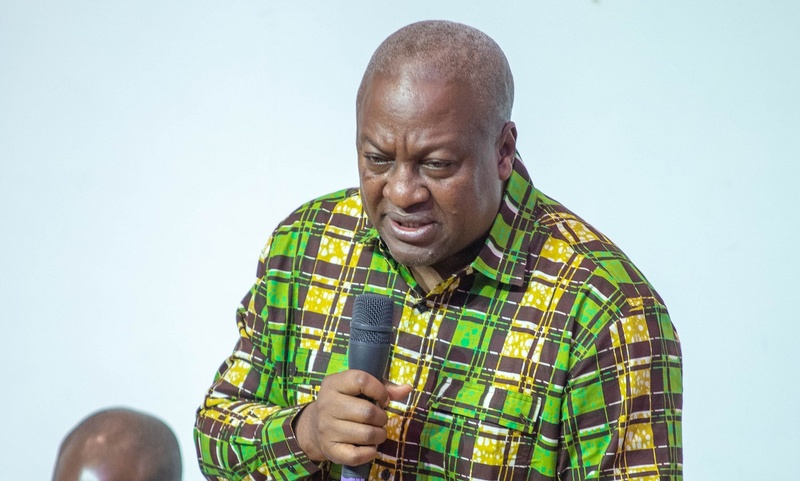 Mahama faced tremendous opposition from the opposition as well as from some over-ambitious and self centered persons in his own party and yet he steamrolled his ideas and implemented them with dexterity. He took full responsibility and spoke to the people himself. He knew what the shareholders of Ghana want and had clear vision of it. He knew that Ghanaians aren’t bothered about GDP, borrow to pay debt, reengineering. He was aware that most of them donate even know what GDP is, so he focused on infrastructure and other poverty alleviation policies. GDP, its growth and its implications have no meaning for the farmer who cannot transport his goods because of bad roads. A President is successful of he is able to retain the confidence of his shareholders. And the shareholders of Ghana per their post election reactions have shown that they’ve regretted voting out their competent CEO John Mahama. If these were his sins, then add sinner to my name.